An absentminded moment, an ordinary wallet lost in the street and picked up by an honest citizen, was all it took to start the whole affair. It was the beginning of the end for Soslan Gagloev, better known as Wakanoho, a great hope of Ozumo (see Le Monde du Sumo #29). After a long prison detention for the offence of possession of narcotic drugs, severely punishable by Japanese law, Wakanoho admitted to the facts, pleaded immaturity and claimed that he was the only one involved. At least that's the official version. 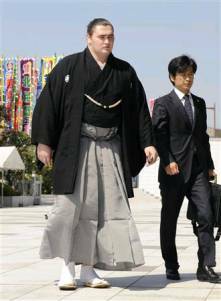 It is certainly a troubling coincidence that the prolonged detention of a very young man, who was doubtlessly impressed by that difficult experience, was followed by the unexpected urine tests that took place on September 2nd (as decided four days previously by the Prevention Committee) – a first time occurrence in the history of professional sumo. From there to a thought that young Soslan had given away names is but a very easy step, in spite of vehement denials he would later repeat. Be that as it may, all sekitori were forced to take a urine test, based on a quite simple kit such as exists in almost all developed countries, and which screens for traces of the use of cannabis, cocaine and amphetamines. Several sekitori then had to submit to a second test because the results of the first raised some doubt. Several hours later, there was no longer any doubt: the two Russian brothers, Roho and Hakurozan, were declared having tested positive for marijuana. It was a lighting strike from an already leaden sky. The two Russians first went to a police station to vehemently deny any drug use. Samples of their urine were sent for additional testing, but professor Onishi, head of the Kyokai's anti-doping committee, declared that the drug use had to be no more than 72 hours earlier for this type of test to be positive. Legally, the two sekitori were basically not at risk, because although possession and sale of marijuana are strictly forbidden, paradoxically, there is no law against the simple use of marijuana in Japan. Thus, they couldn't be prosecuted by the police, but things stand differently as far as the Kyokai is concerned, and the two wrestlers were aware that their careers were on the line. Others made their moves as well. Professor Onishi stated that he tested Roho's sample three times and Hakurozan's twice. Consequently, the police thoroughly searched the two wrestlers' quarters in Kitanoumi and Otake beya, but unlike Wakanoho's rooms, they contained nothing that had a connection with drugs. The brothers continued to deny, with Roho explaining that the analgesics he was taking for his painful back could possibly cause the positive result of the test. He also received the full support of his shisho, Otake oyakata (former sekiwake Takatoriki). The other oyakata, such as Takanohana, remained neutral but predicted serious consequences for Ozumo in case the positive results were to be confirmed by additional tests. The former dai-yokozuna even suggested a possible cancellation of the Aki basho, which would have been a disaster such as not even the Second World War had caused. Kitanoumi rijicho was also in the eye of the storm since one of the brothers, Hakurozan, was nothing less but his heya's single sekitori. The affair had reached such proportions that the "B" samples were sent to the only Japanese laboratory officially recognised by WADA (World Anti-Doping Agency) to ensure the validity of the results. It would take a week for the report to come. On September 7th, the report from the laboratory arrived, and the results were positive: the two brothers had consumed marijuana, and the levels found didn't leave any possibility that this could be a consequence of ordinary passive smoking. 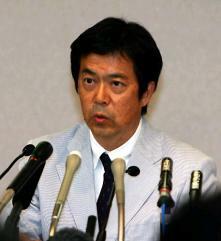 Professor Onishi was particularly firm concerning the scientific conclusions of the experts, which found increased levels of marijuana, five (Roho) and ten (Hakurozan) times greater than the WADA decreed limit. Summoned before the Committee, the two brothers still claimed their innocence. 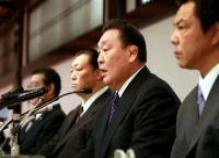 But it was too late, and the punishment, decided during a rijikai (meeting of Kyokai's board of directors) came quickly. 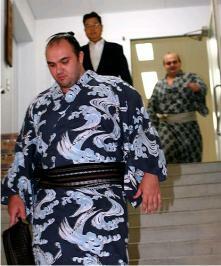 The two brothers were expelled from the Nihon Sumo Kyokai without delay. However, curiously, they were still listed on the next banzuke since it was already made. On the other hand, Wakanoho's spot could have been struck out which left a gaping blank. The rijicho, former dai-yokozuna Kitanoumi, resigned from his position as he had promised he would if the evidence proved conclusive (and the other riji and the public were demanding his head anyway). Although he also offered to resign his duties as a riji (member of Kyokai's board of directors), his peers allowed him to stay. Otake oyakata suffered similar consequences as he was demoted to a lower position within the Kyokai hierarchy. These demotions, especially that of Kitanoumi, started a game of musical chairs: Musashigawa oyakata, from the same Dewanoumi ichimon as Kitanoumi, was elected by his peers to become the new rijicho. Kitanoumi took over the function of Haru basho director from Magaki oyakata, who was forced into demotion by the Wakanoho affair, and Isenoumi replaced Musashigawa in his previous duties. From the start, Musashigawa took the bull by the horns and signalled the end of the party. The message was clear: misconduct is not permitted and will be tolerated no longer. This was a message that gave the impression to have been largely directed against yokozuna Asashoryu, who was in the centre of numerous scandals of various seriousness during the past severa1 years. 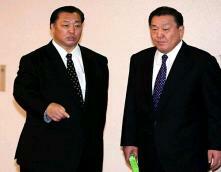 For a long time it seemed that Asashoryu was able to act with impunity; however, last summer's football match incident brought that to an end. Another consequence, and not the least of them – a reform which was already in course following the sad affair at Tokitsukaze beya – the Kyokai promised to open the doors of its opaque management by accepting strangers to the world of sumo into the rijikai. With this final scandal, the elusions and delaying manoeuvres that the Kyokai used before could no longer continue: at the extraordinary rijikai of September 30th, three persons from "civilian society" entered the board of directors as riji and kanji. However, these are all over 70 years old, which does not quite promise fundamental reforms in the immediate future. Looking at the long-term prospects, the reverberations of this shock that shook the Kyokai may be felt for a long time still: if the Borazdov brothers disappeared for a while from the news with Aki basho, young Wakanoho recently returned to the spotlight, under the “distinguished” patronage of a scandal weekly, Shukan Gendai (currently being sued by the Kyokai for accusations of match-fixing on Asashoryu's part). If until then Wakanoho played it quietly, claiming his immaturity and imploring pardon from the sumo authorities, he now became offensive, doubtlessly inspired by financial motives: he is without funds and Shukan Gendai is ready to put a significant amount on the table for a credible witness, even if he utters complete nonsense. Wakanoho is accusing sumo of being consumed by endemic yaocho (bout-fixing), and claims that he himself was forced to yield in fixed bouts since his arrival in makuuchi. However, there are reasons to take his testimony with the greatest caution since his credibility in the circumstances is questionable, to say the least. Finally, the question is whether the Nihon Sumo Kyokai will take advantage of this to be completely fair and go all the way in their path to "clean hands". To tell the truth, no matter how opinions on the harmlessness of soft drugs, stimulating effect of THC or expediency of extremely repressive politics may vary, it has to be admitted that the true problem of doping in sumo is certainly not smoking several joints of cannabis, but the use of much more harmful substances, such as anabolic steroids. Musashigawa today has a choice: he can continue to pretend not to see the problem (physical performances and rapid progress of certain wrestlers are surprising to say the least), or he can seize the problem and give an unambiguous message on the problem. The ball is in his court (no pun intended with the Asashoryu affair). One can hope that this oyakata, who was always unusually uncompromising in his role as shisho, will remain the same in his new position at the head of the Nihon Sumo Kyokai. Sumo needs him to. Sumo is now living through a serious period of turbulence that is shaking it to its foundations. Each scandal was different, and perceived in a different manner, depending on the cultural backgrounds of the observers or their views of sumo. 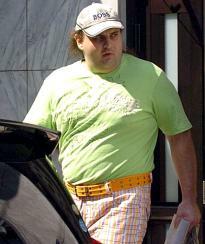 There is no denying that the Ossetian, Asashoryu and Tokitsukaze affairs have seriously damaged sumo. However, the history of this sport, several centuries old, has been marked with numerous troubles. The Shunjuen incident in the 1930s, a chaya scandal in the 1960s and a rikishi revolt lead by Takasago in 19th century have all rattled sumo at least as much. And sumo has always recovered, because the sport is still the sport, and should remain so.